First, thank you Shira for letting me commandeer your blog to talk about my newest story. The problem for me with with short is that once I start writing, the characters take on a life of their own and suddenly my little short story has morphed into a grand adventure that I’ll need books to cover and years to tell. Don’t laugh, my planned series—Dlgen—was supposed to be an anthology story and well that’s now going to be five books I think. (When I get around to writing it.) But when I finally do find a story I can keep down to anthology length, I’ve noticed a pattern – they always fall in the ‘Loss’ category. A Closed Door is no different. I’m told by some who’ve read it that it made them cry. I suppose that was part of my intention as loss is a powerful emotion and if done well can connect the reader to the characters. But I find it odd that I’m able to write ‘loss’ easier than ‘lust.’ I can’t say I’ve had a particularly sad life. In fact, I’d say the opposite. So what is it that draws me to stories where loss is such a big part of the story? While I don’t sit down and analyze my plots before I begin writing and ask, “why is this so sad in parts,” I think the answer lies in how much we root for the main character who can over come adversity, or who is willing to sacrifice all for the good of someone else. We root for them to prevail against the odds or admire their noble spirit. That’s not to say that we all don’t appreciate a nice, happy, lust filled, pick-me-up, feel good story, but sometimes the more memorial stories are the ones that carry you up and down and back again. Fortunately, stories that have loss in them can still have a HEA. Orin Merritt left home after high school hoping to escape the hell his life had become since he’d been outed at thirteen. When a tornado destroys his childhood home and kills his parents, Orin finds a new kind of hell. Blaming himself for failing the two people who always loved and supported him, he returns home and confronts his past in the person of his one time best friend, Thomas Kennett. Thomas not only rejected Orin when he came out, he led the group that caused him to leave. As he struggles to deal with his grief , he tried to fulfill a pledge he made to his parents before their death. In the process, Orin learns that sometimes when you leave to find something, you might have left what you’re looking for behind. 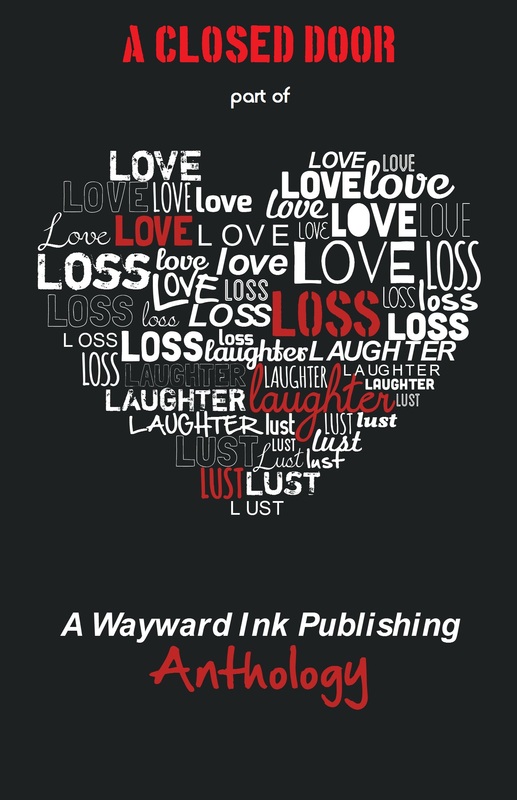 Love, Loss, Laughter & Lust Anthology, by Wayward Ink Publishing. Sadly, we’ve also probably all known loss in one form or another. And, yes, we at Wayward Ink are sure we’ve all experienced lust! In Love, Loss, Laughter & Lust, you’ll experience one or more of the “L”s as we take you on a roller coaster of emotions. Whether you like to sigh over the sweet, cry for the broken-hearted, enjoy a good laugh, or get a little hot and bothered, there’s something for everyone in this collection. As part of the release of the new Anthology, Wayward Ink is holding a giveaway. Just click the code below for a chance to win a $25.00 Amazon Gift Card. Two people will also win a paperback copy of the book, and three people will win a WIP USB Extension Cord and Fridge Magnet. There are 11 ways to enter and you can earn up to 20 chances to win. Andrew Q. Gordon wrote his first story back when yellow legal pads, ball point pens were common and a Smith Corona correctable typewriter was considered high tech. Adapting with technology, he now takes his MacBook somewhere quiet when he wants to write. He currently lives in the Washington, D.C. area with his partner of eighteen years, their young daughter and dog. In addition to dodging some very self-important D.C. ‘insiders’, Andrew uses his commute to catch up on his reading. When not working or writing, he enjoys soccer, high fantasy, baseball and seeing how much coffee he can drink in a day and not get the shakes. Great post, Andrew 🙂 I can so empathize about writing short stories and so envy people who can write flash fiction (and do it well). I’m with you on the bittersweet with a HEA. One day I’m going to write something that doesn’t end with a HEA – because not all stories end well. Of course no one reads to be become depressed or sad, so maybe that’s a bad idea. The book sounds really good I enjoy reading anthologies I don’t mind if the stories are sad but I do like a HEA. I enjoyed the post. This anthology sounds great. Thanks for the giveaway. Thanks for the post! I do admire the people who can write short stories well. I can imagine how difficult that must be. Sometimes I can handle bittersweet without the HEA or HFN if it is done really well (I am thinking about Annie Proulx’s Brokeback Mountain – although that really laid me out for a long time, so maybe I don’t actually handle it well.) I do, though, love stories where characters overcome sadness and do get the happiness or at least hopefulness in the end.